Hi-lo dresses have taken this season by storm. 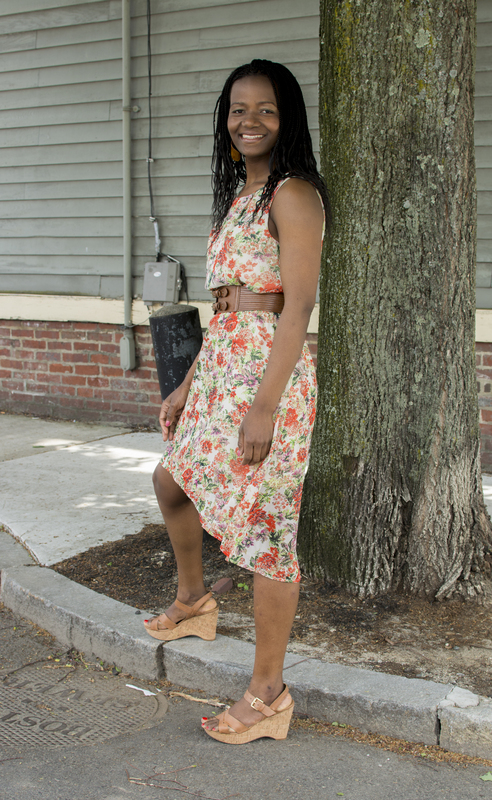 I fell in love with this one because the bright floral steal focus from the skirt, resulting in a more balanced look. Dresses with elastic waists don’t suit me very well, but the belt did the trick here. The earrings were handmade in Zimbabwe from real pods. thats a great dress, i love the hi lo style and and the floral is just girly and fun. Love the combination of hi/lo and floral! So beautiful! Loving the hi-lo dress and he belt! You look fantastic!